Lisa Borders’ novel, The Fifty-First State, is a powerful anthem about place, and belonging, and finding a new way to exist in the midst of fresh grief. Told in alternating point-of-view sections, featuring thirty-something New Yorker Hallie, and teen stepbrother Josh, The Fifty-First State is about rebuilding family after loss has torn it apart. It’s also about southern Jersey, a creek with deformed frogs, the farmland of the Garden State, and the power of love and loyalty. Lisa peoples her novel with a cast of wonderful, and occasionally outlandish, characters, the warmth and humor fully balancing the heartbreak. The cast of characters is rich, funny, and achingly honest. And for me, The Fifty-First State was also a wonderful introduction to Engine Books, an impressive, women-run small press that pledges at least half of each year’s titles will be written by women. Lisa’s debut novel, Cloud Cuckoo Land, was released in 2002 by River City Publishing, which awarded her the Fred Bonnie Award for Best First Novel. I met Lisa when she stopped by Portland on her West Coast book tour with Ron MacLean, because our mutual friend Liz Prato encouraged me to attend their reading. 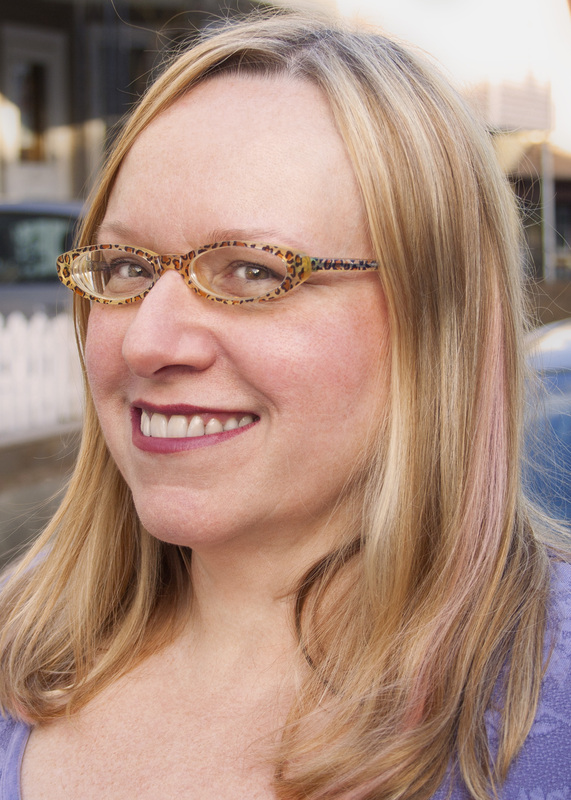 It’s so wonderful to be able to feature Lisa on the Seven Questions Series today. Tell us about The Fifty-First State. 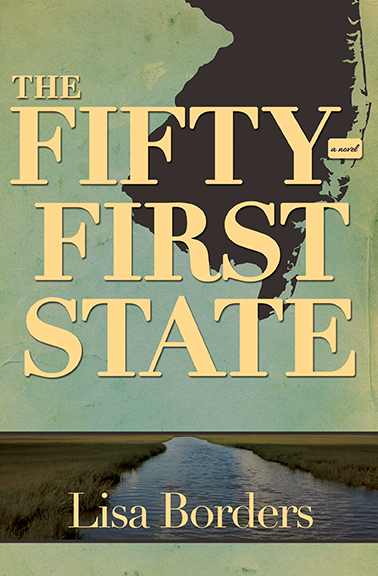 The Fifty-First State – the title refers to Southern New Jersey – started with setting. I wanted to write about the part of South Jersey near the Delaware Bay that very few people know about – including many people in the northern half of New Jersey! The oyster industry once thrived in South Jersey, and was decimated when a parasite killed off the oysters in the 1950s, and so I created a family that had once been prosperous but had lost everything. Donald Corson, the tomato farmer who dies in the first two pages of the novel, was a wealthy boy until he was seventeen, when his family’s business went under. After that, life was a struggle for him. I was interested in how this legacy gets passed down in a family, what remnants of that absent prosperity might remain, what is permanently lost. The book also deals more immediately with loss: that of a teenage boy, Josh, and his 37-year-old half-sister, Hallie, coping with the loss of their parents. Grief is a difficult and complicated emotional state, and its effects are as individual as people are. It’s especially tough, I think, when one doesn’t have a strong belief in an afterlife, which is the case with the characters in my novel. And yet, we survive – sometimes, we can even later thrive – after a loss. The novel is about grief, but it’s also about finding a way to move beyond a devastating loss. Ultimately, the book has an optimistic heart. We’re both Jersey girls, but I’m from the northern part of the state, and your novel takes place down in south Jersey. Why there? How did you integrate the sense of place so deeply? It really pays off with the tension Hallie feels between her life in New York City and her emotional obligation to Josh and the farm. I grew up in Central Jersey (the Jersey shore area) until I was 13. My family moved to South Jersey when I started high school, and while I knew it was more rural there, I had no idea of the culture shock I’d experience. It felt more like moving to Alabama than moving to somewhere in the Northeast – and when I say that in South Jersey, people nod in agreement. Parts of South Jersey are, technically, below the Mason Dixon line, and you really feel that Southern influence there. As a teenager who had just moved from a place that was less than an hour from New York City, I was pretty miserable at first. Eventually I adapted, but it wasn’t until I went away to college, returned and lived at home for a year that I came to really appreciate South Jersey – the natural beauty, the connection to the land that people feel there. Even in my early twenties, when it hadn’t yet occurred to me that I might be a novelist, I knew I wanted to write something that really captured that setting. There was a lot I wrote about the setting that never made it into the novel – lengthy descriptions of the house and the farm, for example – but I think (hope!) a lot of that was conveyed in the book with more economy because I could picture it well. I read that you spent years working on this book, and had to pare it down quite a bit. Please tell us a bit about your revision process. My revision process is not for the faint of heart! Both of my novels came out long and needed to be pared down, but this one was a bear – an 800+ page draft that I got down to 324 pages in its published form. With each subsequent draft, I was able to cut 50 – 100 pages until, finally, the draft my agent submitted to editors was about 480 pages. My amazing editor at Engine Books, Victoria Barrett, managed to help me trim another 90 (manuscript) pages from it – something I didn’t think possible until I saw her brilliant edits. Do you have any advice for writers struggling with multiple protagonist novels? Lately I’ve found a lot of manuscripts in my slush pile that hold the reader at arm’s length, never bringing us close to the characters. Hallie and Josh are right there, living and hurting and being confused and unsure about their decisions. I barely breathed as I read this story because you kept me pulled in so close. I absolutely had to know what happened next. How did you do that? Wow, thank you! I tend not to write with a great deal of narrative distance, or at least, I haven’t yet. My first novel was in first person; The Fifty-First State was two very close third-person narrators (excepting the short prologue, which has a great deal of narrative distance); and the book I’m working on now is in first person again. From what I’ve seen as a writing teacher, the mistakes emerging writers make with multiple POV novels often involve distance, as you mention. Either the writer is trying to pull off a truly omniscient point of view and it’s not working (I think it’s a very difficult thing to master, though it pays off big when it works), or the writer is so distant in her third person limited narrators that the reader feels she’s being told things about a character rather than experiencing what that character experiences. I love the way Jonathan Franzen gets really close to his third person limited narrators – often so close that it’s really just a hair away from first person – and I may have modeled the narrative distance in The Fifty-First State from the way he employs it in his more recent novels. You teach at Grub Street in Boston. Do you recommend writers seek out educational opportunities in their communities? How has your personal literary community grown since you started teaching at Grub Street? I think all writers, whatever their level, cannot grow without being exposed to educational opportunities and/or other writers they admire. And with the advent of online classes – we have many fine ones at Grub Street, but I know other organizations have good ones as well – writers have more access than ever to these opportunities, no matter where they live. Still, living in a city with a thriving writing center is a huge boost for a writer, and Grub Street has just been amazing for me personally. When I started teaching there in 2001, I felt rather isolated. I had a few friends from grad school I was still in touch with, but I hadn’t really found my niche in Boston. Through Grub Street I met the writers and students who would become among my closest friends and best readers of my work. We’re all very supportive of each other. You’ve had two novels out from two small presses—The Fifty-First State and your debut novel, Cloud Cuckoo Land. I am passionate about small-press publishing, but I only know about it as a publisher. What is the small-press experience like from the author’s perspective? What are three things authors should know before submitting to a small press? I think small press experiences can be amazing, and as the big houses do less to promote their authors, there are fewer reasons for authors to feel they really need a big press to have a great publishing experience, as well as to be taken seriously in the marketplace. As fewer literary novels and short story collections are being published by the big houses, independent presses are becoming the homes of great literature. But all small presses are not created equal. There are independent presses that have staffing and distribution similar to an imprint at a larger house, and then there are books that emerge riddled with typos from a press operated out of some eccentric booklover’s basement – with lots of variation between those two extremes. It’s important to enter into any publishing contract knowing what your goals are as a writer, and then evaluating how realistic those goals are. Is critical acclaim more important to you than the number of copies sold? Is your main goal to connect with readers and build a fan base? Understanding what you want out of your publishing experience can help you to make the choices that will lead to a positive outcome. I would also recommend doing a lot of research into any small press you’re considering signing a contract with. Have their titles been well-reviewed? Does your local bookstore carry any titles by the press? How do the books look physically – are they professional-looking, visually appealing, with no glaring proofreading errors? Contact some of the publisher’s authors and ask about their experiences. People are usually quite honest about their publishing experiences, both good and bad, as long as they are talking one-on-one and not speaking publicly. You and Ron MacLean had an epic West Coast road trip last fall to promote The Fifty-First State and Ron’s novel, Headlong,which is how we met. What prompted the adventure? Would you recommend touring to other small-press authors? Thanks for participating in the Seven Questions Series, Lisa! You can learn more about Lisa Borders at her website. Find The Fifty-First State at your local bookstore, or Powell’s, or Amazon. Engine Books is here, and check out the current Indiegogo “Big Dream Campaign.” You can see other interviews in the Seven Questions Series here. This entry was posted in Books, Fiction, Seven Questions, Writing and tagged author interview, Engine Books, Lisa Borders. Bookmark the permalink. The biggest misstep I’ve seen with multiple POV is that you really want the voice to change, at least a little, even in third person limited. Some writers really only have one voice. Which can be fine — it worked great for Henry James — but just realize that’s the type of writer you are and go with it. Hemingway tried multiple POV in To Have and Have Not, and it was not a success. It’s like being an actor. Some disappear into a role, some are movie stars who always play variations on their basic persona. Both can be fine. I love this interview – the NJ connection, thriving after loss – and the great idea of pairing up with someone to do a book tour and the importance of connecting with readers personally. One reader at a time, eh? This reader thanks you and I’ll be checking Lisa Borders out.